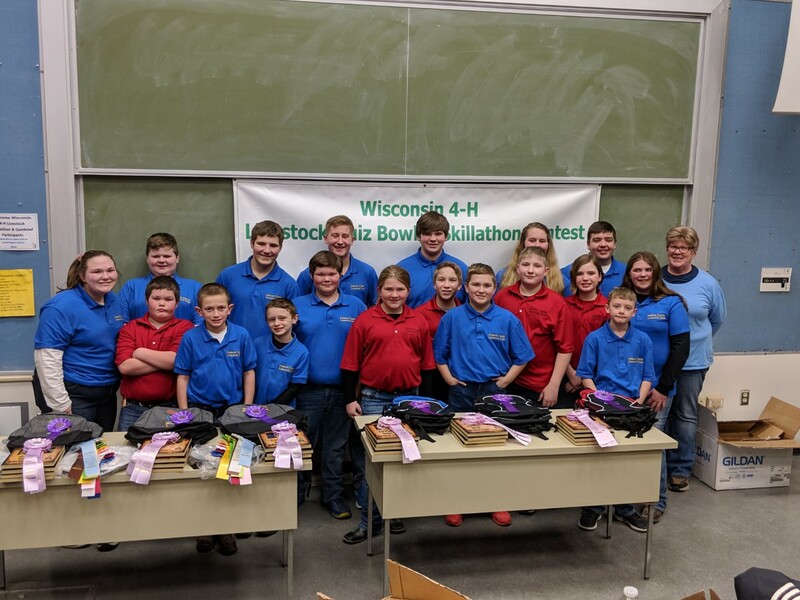 Jackson County had 18 youth competing: Morgan and Wyatt Berg, Frannie and Sam Everson, Luke Fischer, Doyle Hagen, Grace, Jake and Justin Kling, Austin, Jack and Trent Laufenberg, Morgan Lindow, Kaden Moseley, Austin Olson, Colby Sampson, Brewer Schlifer and Brenna Thorson. We had 3 junior teams and 1 mixed age team competing. 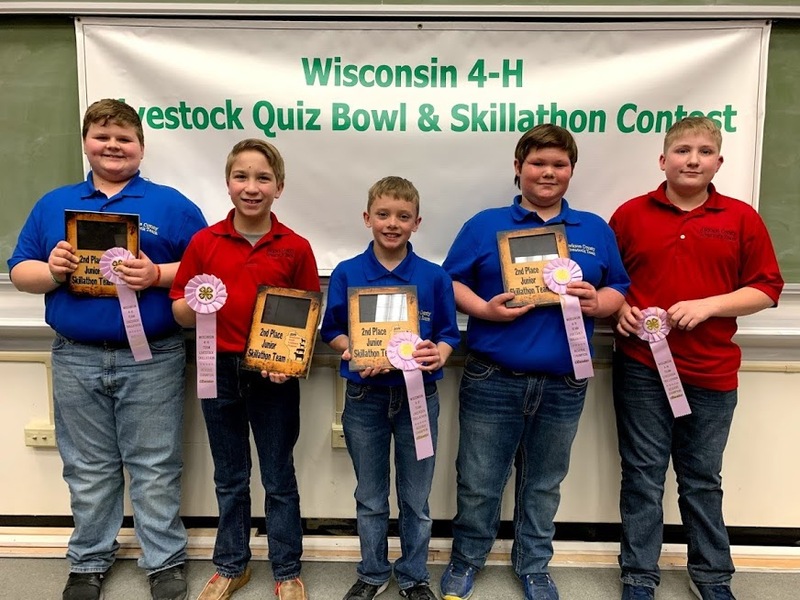 Out of 17 junior teams Jackson County’s Junior team #1 (Jack Laufenberg, Jake Kling, Luke Fischer, Doyle Hagen and Austin Olson) placed 3rd in quiz bowl and 2nd in skillathon. Jake was 2nd high individual and Luke was 6th in skillathon. Out of 9 mixed age teams Jackson County’s team ( Trent Laufenberg, Kaden Moseley, Grace Kling, Wyatt Berg and Austin Laufenberg) placed 2nd in both quiz bowl and skillathon. 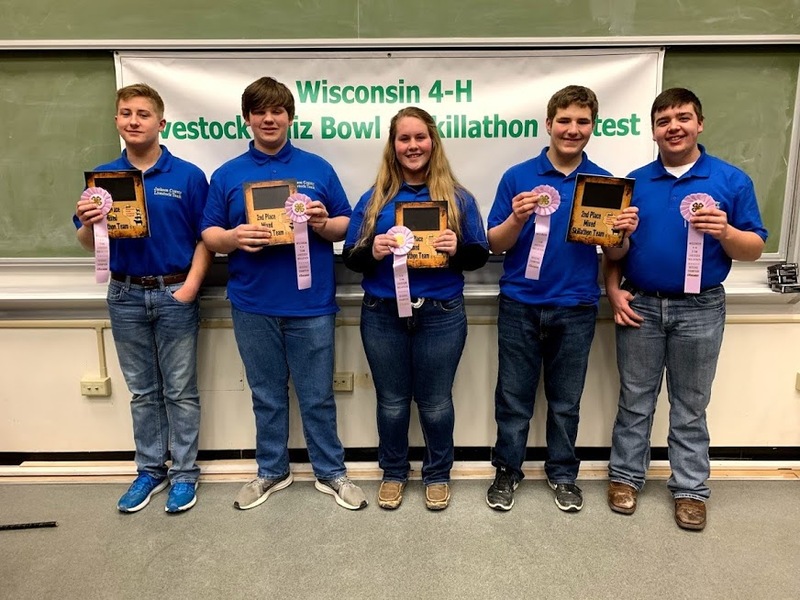 Grace was 3rd individual, Trent was 5th, Wyatt was 6th and Kaden was 9th in skillathon. 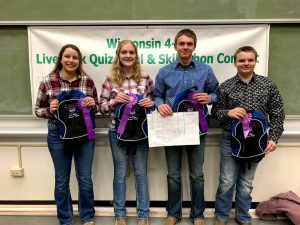 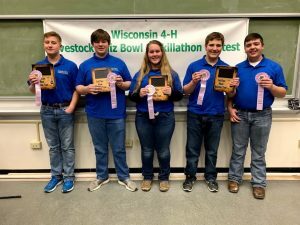 Out of 12 senior teams Trempealeau County’s team (Mara Quarne, Blake Johnson, Tyler Johnson and Joie Haines) are the State Champions in both quiz bowl and skillathon. 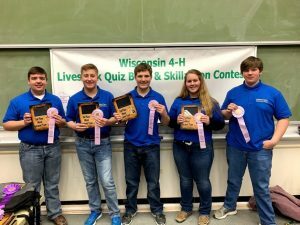 This qualifies them to compete at national contests this fall in Louisville and Nebraska. 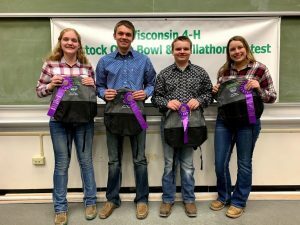 Individually in skillathon Mara was 2nd and Blake was 6th. 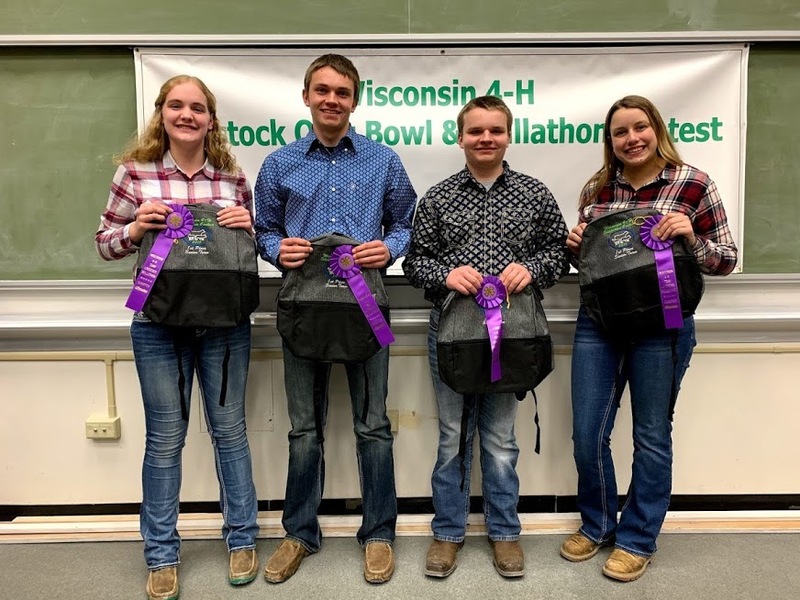 Jackson County youth participants for the 2019 Livestock Quiz Bowl & Skillathon Contest.